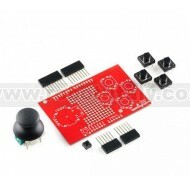 The Joystick Shield kit contains all the parts you need to enable your Arduino with a joystick! The shield sits on top of your Arduino and turns it into a simple controller. This is a joystick very similar to the 'analog' joysticks on PS2 (PlayStation 2) controllers. 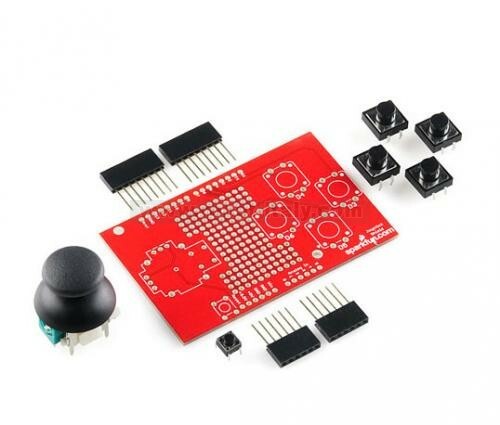 This is the breakout board for the thumb joystick. Joystick not included.